Crystal singing bowls are made from silica sand which is pure quartz in nature. Crystal acts as an oscillator, magnifying and transmitting pure tone. Clear Quartz contains the full spectrum of light that is related to the seven energy centres (chakras) and thus heals the listener by bringing pure light through sound as specific colour back into the human aura. 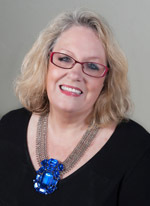 Janine’s holistic services use a variety of therapeutic techniques to clear, repair and balance the body’s energy systems. Each session is tailored specifically to the individual requirements of the client. Janine is a full member of the International Institute of Complementary Therapists.